Having a Down Syndrome abortion is no more difficult physically than any other abortion. There is only very minor differences between a baby with Down Syndrome and one without. It is because they are so identical that many Down Syndrome Screening Tests and Markers for Down Syndrome have been developed. 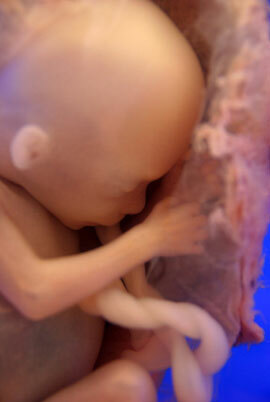 However, a Down Syndrome abortion is very different in some respects. Down Syndrome abortions normally involve a wanted baby that has been shown to have Down Syndrome. who are essentially uninformed and listen to what others are telling them in what has now been defined as a time of crisis. However, like in the picture above … your baby. CONTENTS: Down syndrome abortion intro — Down syndrome abortion research — Why reject the notion of a Down syndrome abortion? — Considering a Down syndrome abortion? Other options. Babak Khoshnood et al. Year 2000, researching Down Syndrome abortion: The researchers found that where abortion was readily available, the incidence of Down Syndrome dropped by approximately 40%, in comparison to areas where abortion was not more freely available. In other words, it appears from this that at least 40% of parents choose to terminate the pregnancy when a diagnosis of Down Syndrome is made. To me, this is very sad. These were babies with life, lives that would reach out and touch people. They were denied the right to play on swings, on slides, to grow up, have a birthday and for some, to have kids … it is heart breaking. The photo on the left is of a baby who never saw a day dawn, who never smelt a rose, never scraped a knee, nor cried a tear. Caroline Mansfield, Suellen Hopfer, Theresa M. Marteau, “Termination rates after prenatal diagnosis of Down syndrome, spina bifida, anencephaly, and Turner and Klinefelter syndromes: a systematic literature review”, Prenatal Diagnosis Volume 19 Issue 9, Pages 808 – 812, have reported that Down syndrome abortion has remained relatively constant over around 20 years. 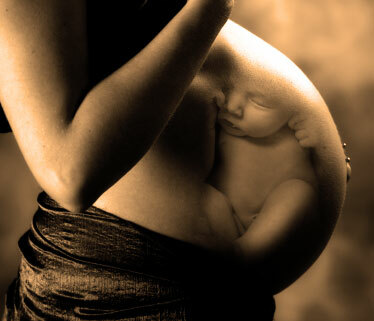 Down syndrome abortion reaches around the 92% mark of all Down syndrome confirmed pregnancies. Amy Harmon, “Prenatal Test Puts Down Syndrome in Hard Focus”, The New York Times, May 9, 2007, stated that when parent’s are told there baby has Down syndrome, it is often put in such a negative way by medical professionals, that the final result of the process is a Down syndrome abortion. She believes that if medical professionals and health care workers had a more positive attitude to Down syndrome pregnancies, that the Down syndrome abortion rate would drop substantially. Franz Binkert, Michael Mutter, Albert Schinzel, “Impact of prenatal diagnosis on the prevalence of live births with Down syndrome in the eastern half of Switzerland 1980–1996”, SWISS MED WKLY 2 0 0 2 ; 1 3 2 : 4 7 8 – 4 8 4, stated Down syndrome, even in spite of the high Down syndrome abortion rate, would not vanish, as many older mum’s are chosing to have children late in life, and are more willing to keep the child with a diagnosis of Down syndrome. The move to screen pregnancies much earlier using a sonagram (ultrasound) and two blood tests, has meant that Down syndrome babies can now be detected accurately 82 percent to 87 percent of the time in young mums, and these screened babies are then ear marked for amniocentesis or similar for confirmation. The end result is what is becoming known as a eugenics campaign to rule out people from living and existing, who are not perfect in people’s eyes. That is what a Down syndrome abortion is, a eugenics campaign against those with 3 chromosome 21’s. Why reject the notion of a Down syndrome abortion? These attitudes that bring parents to decide on a Down Syndrome abortion are slowly changing. We know of one parent who wants desperately to have her own baby and for the baby to have Down syndrome. Why? This lady has been in contact with Down Syndrome people and has learnt they are not to be feared and that people with Down Syndrome can fit into society and be part of it. This is the price that is payed by a Down Syndrome abortion – a wanted baby is killed, a wanted life is lost, a child that never grows, memories that never are, a teenager that never blooms, an adult who never knows love, never knows work, never knows retirement. If you are considering a Down Syndrome abortion, please consider it very carefully. Once it’s done, it’s done. You can never get that life back. Also, once you have had a Down Syndrome pregnancy, the chances of the next pregnancy being Down Syndrome is also increased. The older you are, the harder it is to become pregnant and if you do get pregnant, the chances of genetic abnormality increase as well. We cover this on the risk factors for a Down Syndrome pregnancy. We tried to have another baby after Jacob was born, for several years we tried, he turned out to be our last child. 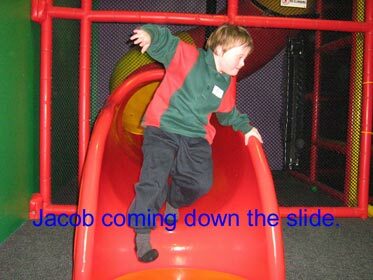 If we had had a Down Syndrome abortion and gotten rid of Jacob … well, there was no other baby coming along to replace him. So, if you are thinking about a Down Syndrome abortion for your wanted baby, think very, very carefully. One option you can consider, is contacting your local Down syndrome organisation, learn from their experience, and by all means try and meet up with two or three families with a child with Down syndrome, and see for yourself. Then ask yourselves, is Down syndrome abortion the solution for me? At least get to know something about the baby and it’s potential future, before agreeing to a Down syndrome abortion. Of course, there is also the other option, of having the baby with Down syndrome and then adopting the baby out.